Michael Wertz with the Oakland Rover doing pop-up poster making to celebrate Oakland Pride. Photo by Max Gibson. Printed across artist Michael Wertz' screened posters was the word "Love", something that he and his husband Andy Cohen have shared for over 25 years. 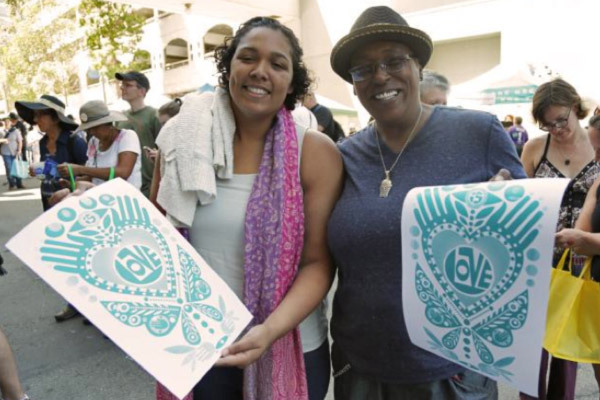 Wertz partnered up with OMCA Connect at the 2014 Oakland Pride Festival to share the "Love" with festival-goers. Michael Wertz, an illustrator and teacher at California College of the Arts in Oakland and San Francisco, transformed OMCA's Oakland Rover into a pop-up print shop to share his knowledge of how to "pull a clean print". 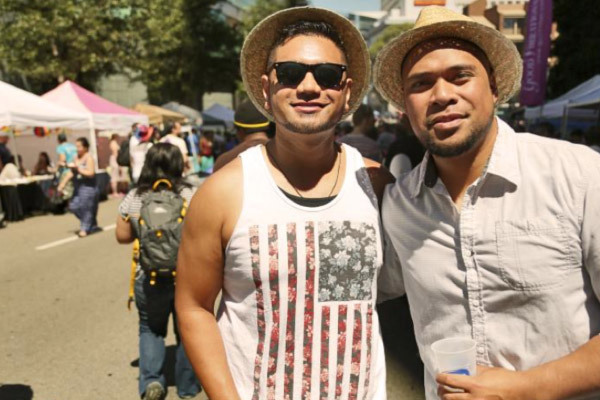 Folks from all walks of life could be seen that day in the streets of downtown Oakland. From elders to children, newlyweds to "long-time" weds, they waited in anticipation to get a piece of "Love" from Wertz. When I asked Michael about what the theme of love meant to him he explained, "If I could I would go back to the 80's and tell my younger self 'it's gonna be okay kid. You're gonna be fine.' I would never imagine being in a relationship that lasted a quarter of a century. I never imagined that I can marry the man I love." 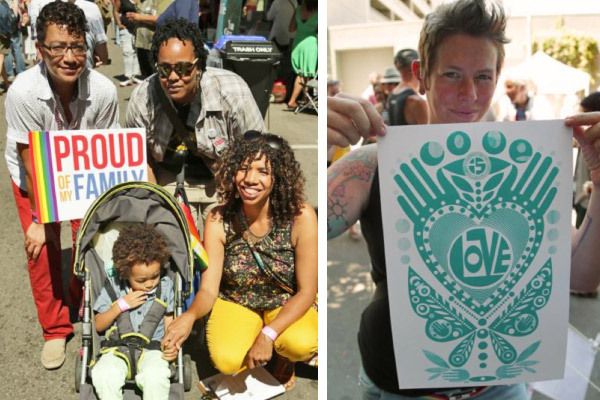 Oakland Pride attendees show their "Love" posters and their community pride. Photos by Max Gibson.